The Division 2 developer Massive Entertainment has detailed its first major content release for the game. Titled 'Tidal Basin,' the update will release tomorrow and will include the eponymous new Stronghold. In addition, the update will include a new PvP map called Fort McNair, and two new Exotic weapons; the Pestilence LMG and Nemesis Sniper Rifle. Players will also be able to collect the first three-piece Gear Sets that offer varying abilities for different play styles. Tidal Basin is just the first release of Year One, which Massive is calling 'The Battle for D.C.' Following Tidal Basin, Operation Dark Hours will release on April 25. Dark Hours will introduce the first 8-man raid to the series, and looks to take place within the Washington Airport. 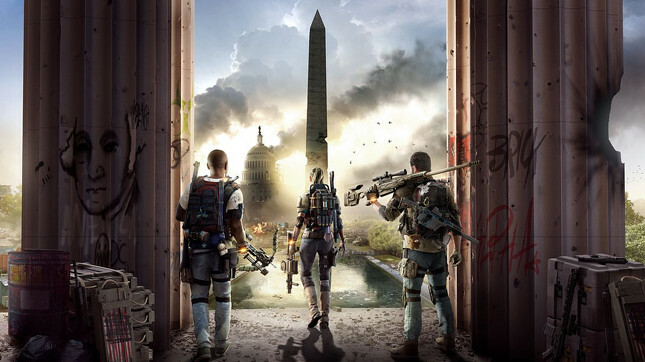 Following the release of Division 2's first raid, Massive has teased a fourth Specialisation class. Details for this are still scarce, but it looks like it'll see players sporting a minigun. All three updates are tied to The Division 2's Year One: Episode One, which has been scheduled for this Winter.